Kesar is a well known Indian spice and has got excellent features as far as health is concerned. It is used in several food products including Indian desserts and sweets. Karachi Halwa Kesar is an orange colour halwa that has got a rubber like texture. Kesar gives this halwa a little yellow colour. 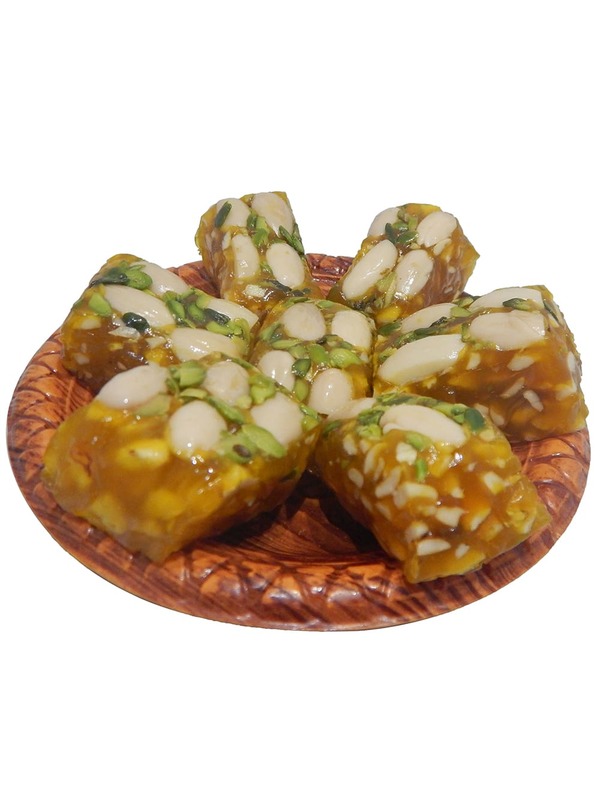 This is one of the famous mithai that can be gifted on all occasions. Karachi Halwa Kesar ordered from fodfeasta.com offers you the best quality. It is well prepared by mixing together the most finest of ingredients including pure ghee, sugar, corn starch and kesar. This Indian sweet has got a mouth-watering taste and the quality can be defined by its smooth texture. 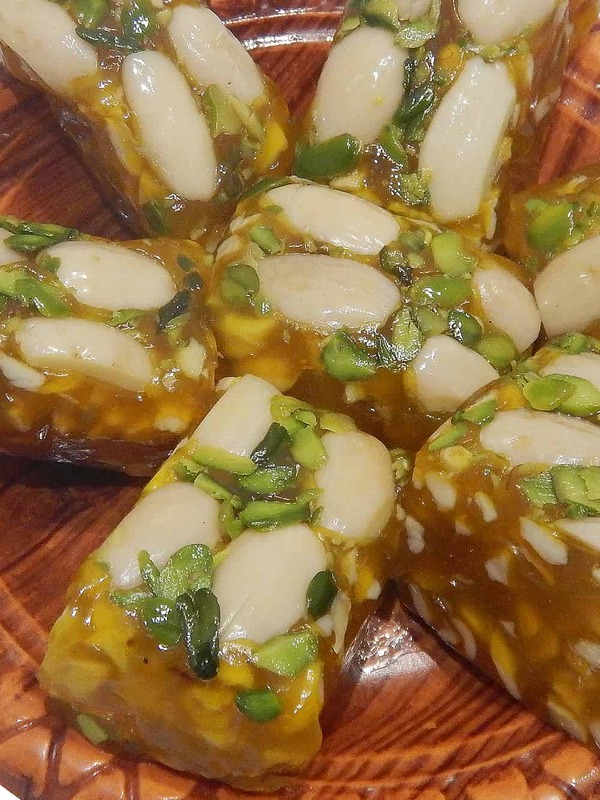 Foodfeasta.com source Karachi Halwa Kesar from Meghraj & Sons which has got a trusted in preparing quality mouth-watering sweets and other food delicacies. They are into business since 100 years now. This sweet Indian delicacy gets a long lasting flavour with the addition of Kesar into it and can be gifted on al festival occasions. Karachi Halwa is basically a dessert from Karachi, Sindh. It is also known as Sindhi halwa. It has a rubber like texture and seems more like a jelly to one’s tooth. Pista Karachi halwa is engrossed with pistachios and is flavoured with cardamom. To give an individual its memorable taste, it is specially made of pure ghee. 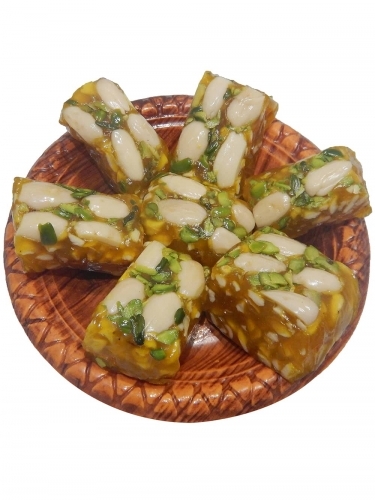 It is a popular, delicious and traditional Diwali sweet. It is also served as a dessert during special occasions and parties. Pista lovers would definitely go mad for this sweet. As soon as one tastes it, there is nothing as such to stop one’s hand from grabbing an another piece of it. Now it’s time to drown yourself in a glorious taste of this delicacy. Chaina Ram sweets situated in Chandni Chowk serves this sweet. You can now order this yummy sweet online too, with www.foodfeasta.com and we guarantee for its delivery at your doorstep.